In late 2016, pundits declared 2017 whould be the year virtual reality won mass adoption. And yet here we are, well into 2018, still waiting for it to fully materialize. with virtual and augmented reality. But before we begin, let’s get a couple definitions out of the way. Virtual reality immerses you in an environment that’s either make-believe (e.g., video games), intended to replicate real life (e.g., a flight simulation), or somewhere in the real world (e.g., scuba diving in the Bahamas). The most common VR headsets are those that hold your mobile phone in front of your eyes while blocking out light, such as Google Cardboard; more high-end options include Oculus Rift and HTC Vive. A VR viewer is opaque. You can’t see through it. Augmented reality combines digital elements and the real world, adding an augmented layer to what you can see. 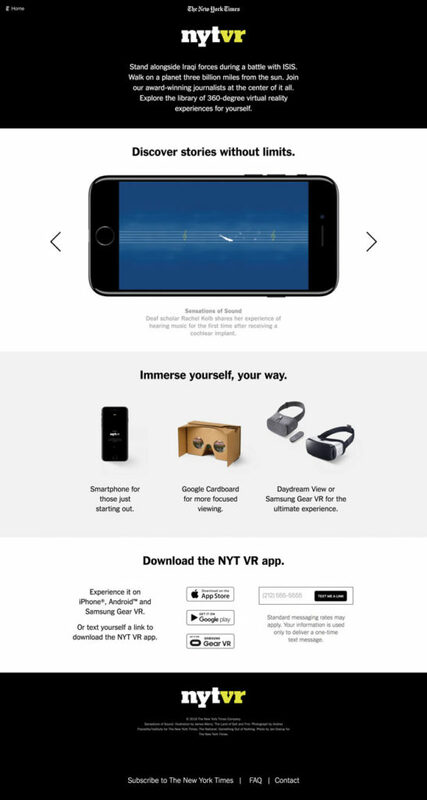 An AR viewer is transparent, whether literally (e.g., Google Glass) or digitally (e.g., seeing the world in front of you “through” your mobile screen in Pokémon Go). John is a renowned strategist, communicator, and cultural mythologist based in Hollywood. He is the author of six books, including the bestselling Storytelling for Virtual Reality. John has worked with a wide range of media brands, including HBO, DC Comics, The History Channel, A24 Films, and The John Maxwell Leadership Foundation, and has served as a consultant and writer for numerous film, television, and virtual reality projects. John has spoken on five continents about using the power of story to reframe how products, individuals, organizations, cultures, and nations are viewed. CCO: How do you feel about the ways brands have used VR to date? Are you hopeful or frustrated by the examples you encounter? John: Brands for a number of years have mastered the art of storytelling to audiences in order to engage them in products. VR offers a new way to tell stories to an audience. It’s a storytelling medium that goes far beyond novelty; it allows you to immerse your audience in the stories you’re telling, and it affects the brain differently than a flat-screen version of the same story. While brands have been somewhat cautious and slow to move into VR, I think the early experiments have been good. It’s a new language for communicating with audiences, and brands are still figuring out how to best tell stories with this new medium. And it’s significant that brands are doing it at all since there hasn’t been a mass adoption of VR just yet. VR is a popular buzzword, but as far as everyone having a headset … we’re not quite there. CCO: Which brands have made the deepest inroads with VR? Brands that keep experimenting with VR will be the most successful because the way to figure out how to best use the medium is to keep creating small projects on a limited basis. Today’s VR projects may reach small audiences, but they teach brand leaders the medium and how to communicate with this form of storytelling. If you look at the early days of cinema, you see a similar pattern. Creators have to invent, then perfect, and articulate new visual languages before they can be used with mass audiences. CCO: How about less obvious applications for VR? John: I think it’s more exciting to look at the companies doing innovative things with augmented reality (AR) in the current space. Some of the fashion magazines are offering opportunities for advertisers to align products with editorial in the same issue. Magazines like Time are introducing new ways to read print by overlaying AR. They are essentially taking the product they’ve been successful with for years and finding new ways to bring it to audiences that might have left the medium altogether. It’s possible these new methods and ways of approaching emerging technology can help to revive a dying industry; using AR, publishers are figuring out ways to engage audiences with new lenses and ways of interacting rather than reinventing their product from the ground up. Another really interesting example are the many comic book companies figuring out ways to use AR to make comic books come alive. They are adding motion and action to what was a static medium. In all these examples, when you’re able to take what has been a static image and create something that has dynamic motion, it’s of high interest to advertisers. It draws the eye in ways static images can’t. There’s really interesting work being done in the food industry as well, where companies are trying to create AR experiences that appeal to foodies. Recipes, cake decoration, and even technology that can scan certain foods to determine if they have cooked long enough are all being developed for AR applications. Creators of this technology are using the tools people already have, their smartphones, to add practical functionality to their daily experiences – something that lies at the core mission of so many brands. 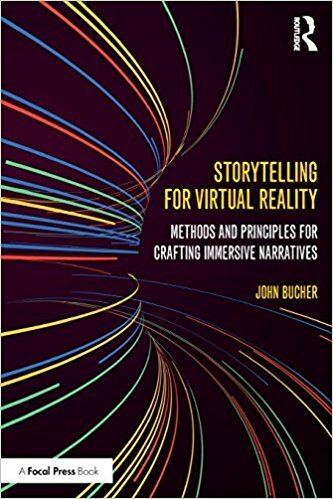 CCO: Are there types of stories (even archetypes) particularly well suited to VR? John: Much of my background is in the intersection of story and psychology. One of the most successful ways to tell a story in any medium is to establish a protagonist. Who’s the character you should be rooting for? Great storytelling also relies on some sort of conflict, ideally embodied in an antagonist. It’s difficult in our culture because we don’t like to demonize people, but a story is most successful when you can identify some sort of human factor standing in the way of the protagonist. I advise clients that in order to determine what content is going to resonate most, they must create a conflict of some kind and find ways to humanize it. It must be a nuanced approach, but it can be highly effective if you have creators who understand how to navigate the desires and motivations of their audience. CCO: What do you find particularly exciting about this moment in VR adoption? John: AR is going to be a real gateway into VR experiences for many people. Most consumers have AR capabilities on their smartphones and likely don’t even know it. This is low-hanging fruit for brands to connect to their audiences. Pokémon Go was a lot of people’s introduction to AR at scale, but now we have everything from makeup and clothing companies showing you how you look in their products to car companies showing you what it looks like to sit inside the car they manufacture. And many of these projects open the door to even more immersive experiences through virtual reality. CCO: What are the best applications for VR vs. AR? John: AR is similar to VR in many ways but there are some specifics that differentiate the two, especially if you’re trying to tell a story to your audience using AR. AR is most successful when you provide the audience a sense of agency – or a way for them to feel they are controlling what they are seeing, not just augmenting it. If you tell an audience: you can use this interface to see yourself wearing a shirt we produce, they may say, “The shirt looks nice, but I’d like to see what it looks like in blue and purple.” That’s very important. You need to not only provide the augmented reality experience, but also give users the agency to make the experience immersive. CCO: Describe the far horizon. What excites you most? John: I’m interested in seeing how VR will play a part in making the world a better place. For example, we are able to capture places and moments that exist right now using VR. You can film your nephew’s birthday party now with VR technology, and then in 20 years put on a headset and relive the experience in a way that’s very vivid and realistic. Being able to replay experiences that were meaningful in your life – and to do so in a very realistic way – is the most exciting opportunity that the technology presents us with as human beings. And it’s important to remember that advertisers aren’t necessarily excluded from these types of experiences. In fact, they could play a major role. In that captured memory, you’ll see products – the cake, the soda everyone drank, the gifts – and create associations. Frontline’s award-winning documentary, After Solitary, gives viewers a haunting look at what it feels like to live in solitary confinement and the sequela follows prisoners long after they are released. 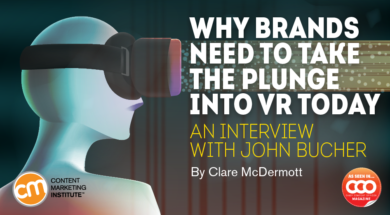 VR and AR projects from brands sometimes feel like flash over substance, but John says experimentation is critical for brands to get a feel for this new medium. Nike shot out of the gate early; three years ago, it was publishing 360 videos – long before most of us knew what they were. More recently, Nike developed a conceptual video to show how it imagines product design will change in the near future. In the video, a designer builds a shoe in midair, using an AR headset to see and manipulate a running shoe design, and haptic sensory feedback to give the feeling of a physical product in the designer’s hands. While designers at Nike aren’t designing shoes using AR (yet), Nike is offering a much more limited AR experience in-store for customers who want to style their own sneakers. 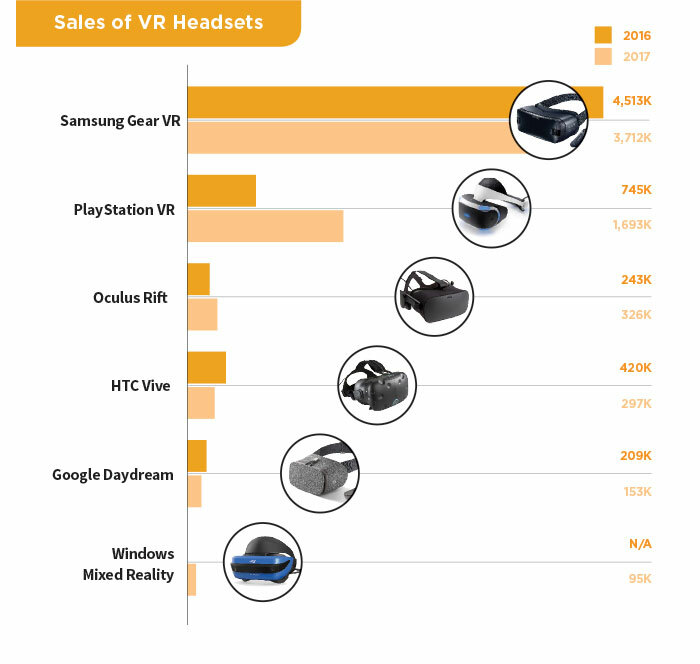 Of the over 6 million VR headsets shipped in 2016, most were lower-tech devices that require a smartphone to view the content, such as the Samsung Gear VR. However, according to games market research firm SuperData, there were 800,000 fewer Samsung Gear VR headsets shipped in 2017. And while the Oculus Rift represents a more immersive, high-tech VR experience, the company only sold 326,000 headsets in 2017. Without more sales of higher-tech headsets like the Oculus Rift, the audience for truly immersive VR experiences is limited. John points out that while adoption of VR in the United States has been slow, the medium is gaining ground in other regions, particularly APAC countries and the Middle East. “Any brand communicating with international audiences is having the conversation about VR,” he says. It’s safe to say that in its current form developing VR experiences is extremely complex. It entails setting up multiple cameras to capture a 360-degree sphere of video inputs, as well as various angles and depths. Stitching all those takes into a seamless whole is extremely labor intensive. With volumetric photogrammetry, there are no multiple takes edited in post-production. As TechCrunch explains, “Using the volumetric capture method, footage of a real person is recorded from various viewpoints, after which software analyzes, compresses, and recreates all the viewpoints of a fully volumetric 3D human.” And even more than making the process less painstaking, volumetric photogrammetry translates to a vastly superior VR experience for the viewer. Advanced VR headsets require expensive computers to run, and users must stay tethered to those computers – which puts a major damper on game play. Yet a new solution called “inside-out tracking” uses sensors built into the headset to track movement rather than the external computer, meaning they can ditch the wire. Time reports that Intel, Google, Microsoft, and Facebook are all testing the technology. A handful of headsets scheduled to be released in 2019, including the Oculus Santa Cruz, will include what’s called “six degrees of freedom.” Rather than simply tracking the movement of your head, a 6DOF headset tracks your body as well – opening a much wider set of options for gameplay and VR experiences. Perhaps the most promising development of all is what appears to be lower consumer pricing for vastly improved VR and AR technology. Both HTC and Facebook dropped pricing of their flagship VR headsets in late 2017 – the HTC Vive dropping from roughly $800 to $600 before the 2017 holiday buying season. And analysts expect the entry point for VR headsets will continue to drop in the coming year. Learn more about the tomorrow of AR and VR at Content Marketing World Sept. 4-7 in Cleveland, Ohio. Register today for best rates and use code BLOG100 to save $100.